I’ve been on a real Pinot Noir kick lately. I don’t know what’s gotten into me since I’m such a Zin freak usually and I love big heavy reds as the weather turns cold. But when I find myself in the basement hunting for the wine for that evening in the last few nights, I’ve gone straight for the Pinot. 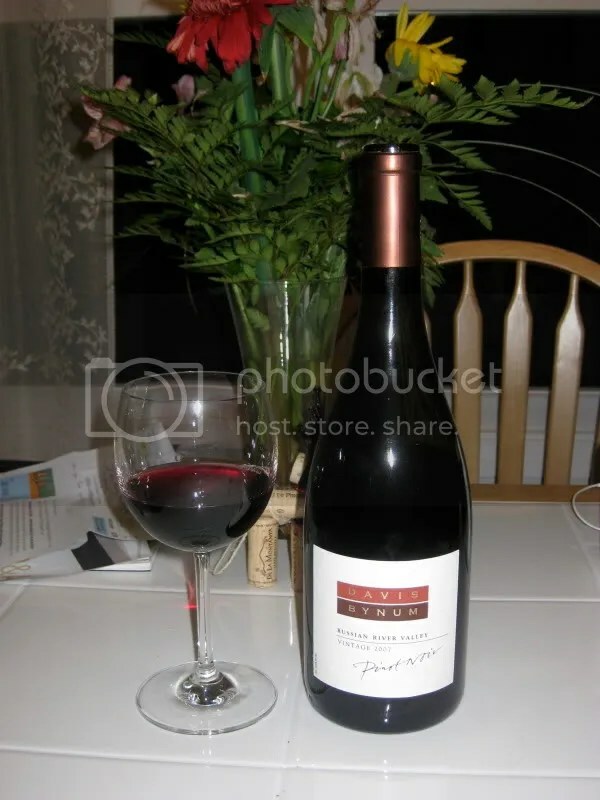 I was especially interested to try this 2007 Davis Bynum Russian River Valley Pinot Noir. Davis Bynum sold to Rodney Strong in the summer of 2007. So this would be the first year produced under the name for the Rodney Strong brand. 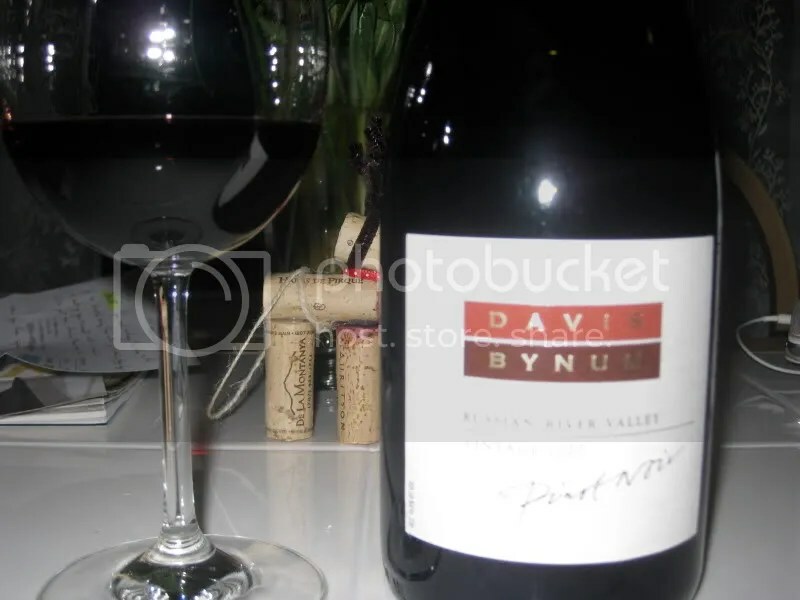 Matt and I actually visited Davis Bynum in 2006 on our honeymoon…it was the only winery we didn’t buy wine at on that trip. We very much liked the wines, but the staff in the tasting room was indifferent to our presence. And it was the only winery we had stopped at that entire day. They also wanted an absurd amount of money to ship to VA. So we left without buying anything. I wanted to see how the wines were faring under Rodney Strong’s stewardship and I must say I am happy to report they are excellent. The 2007 Russian River had a real cork closure and retails for $35. On the nose I got spice, cherries, earth, red fruit, herbs, strawberries, chocolate, and just the slightest hint of cherry Coke. In the mouth I found baking chocolate, red fruit cherries, strawberries, herbs, spice, tea, raspberry, and juicy red fruit. Overall, this had a fantastic long finish, nice tart fruit, and great structure and acidity. We really enjoyed this bottle of wine and I would highly recommend it.